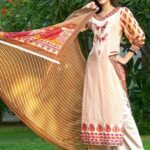 Kalyan Limited Eid Latest Women Collection 2013 By Z.S Textile All the collection is consisting on very stylish and embroidered lawn and paper cotton fabric looking dazzling. All dresses are looking very nice and the model forthis shoot is also looking very pretty and nice. Kalyan Limited Eid Lawn Collection 2013 by Z.S textile has consists of Long shirts, A-line shirts, Frocks, Trousers & Churidaar pajamas. All dresses are embellished with lovely prints & designs with price details. This mid summer lawn collection is very stylish & sophisticated. Here we have collect some fabulous designs from a latest midsummer lawn collection 2013 of Z.S Textiles lawn outfits for our valued visitors. Kalyan Limited Eid Lawn Collection 2013 by Z.S textile.